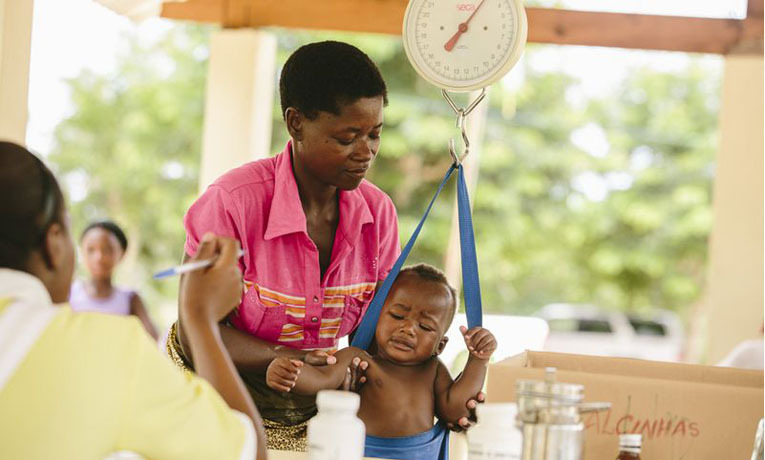 By Samaritan’s Purse staff writer Chelsea Pardue, who is reporting from Mozambique where we are responding to a massive flood that left thousands of families homeless and in desperate need. When I read the statistic “one doctor for 53,000 patients,” I imagined the long line that the patients had to wait in each day. 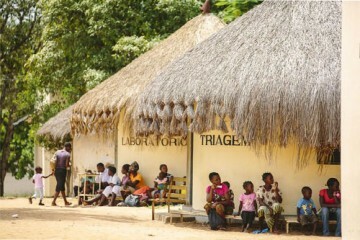 Diseases run rampant in a displacement camp. Little boys track dirty footprints from the latrines to their own tents. 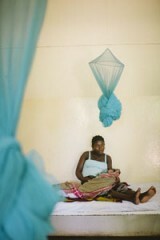 Children sleep without mosquito nets, unsuccessfully swatting away the malaria-carrying insects. Mothers dip buckets into dirty water, thinking that is better than no water for their dehydrated and suffering families. I didn’t think at all about the doctor. I didn’t think about the emotional toll of seeing patients day after day with no help, knowing that despite all efforts, disease is still spreading. I didn’t know her name or anything about her until I came to Mozambique. She was thousands of miles away in a displacement camp while I was sitting at our headquarters in North Carolina on the other end of a conference call, listening to the troubles occurring in the camps. It was impossible to truly comprehend the situation without seeing it. But a month later, I finally met Dr. Josina. I saw her laughing and talking to the nurses. She was passionately speaking in Portuguese about removing the toxic trash on the side of the road. Her curly hair was tied back in a headband, and her hands were shoved into rubber gloves. She was busy trying to clean the hospital in Chokwe where mud had slid in from the flooding. She had no opportunity to speak with me, even for a moment. She was quickly jumping between patients at the clinic across the street, doctors, and non-governmental organization officials. She kept a smile on her lips, but her eyes showed worry. Until the mud could be cleaned out of the hospital, patients couldn’t be treated. Her eyes filled with tears, and she batted them away swiftly. For the first time, I thought about Dr. Josina’s difficult position. I realized that she was a victim of the flooding just as much as everyone else in her area. She hadn’t had time to even think about fixing her own home. Each morning she started her day in the displacement camp by tending to sick people who couldn’t help themselves. Once many people began moving back home, she started cleaning the hospital. She had not been given a break in more than a month, and yet her heart still overflowed for the many people who were still suffering. Her emotions were still so raw and new that she couldn’t yet talk about it. Dr. Josina became her laughing, bubbly self again once I asked about how Samaritan’s Purse had helped her. While she’s technically not a volunteer working with us, she has definitely experienced the impact our organization continues to have on her people firsthand. She explained that a Samaritan’s Purse team had organized the clean up of the hospital, removing the mud, and that the hospital would be receiving patients again soon. It will be a long time until the hospital is back at full capacity, but for now, she is happy to just have beds where sick people can sleep. Recovery is still many months away for those who have suffered from this disaster. Please continue to keep them in your prayers as they work to regain the most important areas in their region, such as hospitals and marketplaces. And pray for individuals like Dr. Josina, who choose to take care of so many people before than can even think about taking care of themselves.